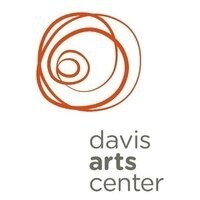 Davis Arts Center offers more than 300 classes each season in visual arts, dance, drama, writing and other disciplines for children, teens, and adults, along with collaborative family-oriented programs like Discovery Art, a summer-long interactive exhibit exploring science and nature and science through art, and Junk2Genius, a team sculpting competition celebrating recycling and creative reuse. We also host a variety of performance events throughout the year, including our annual Classical Guitar Concert Series. The Tsao Gallery showcases works by local and regional artists as well as by school and community groups, and our annual Holiday Sale featuring over 70 colorful artisan vendors has been a community tradition since 1992. Through all of these avenues we reach more than 25,000 community members annually, bringing together individuals and families, amateurs and artists, and people of all ages and backgrounds to share in making and celebrating art.